Rumble around Mt. 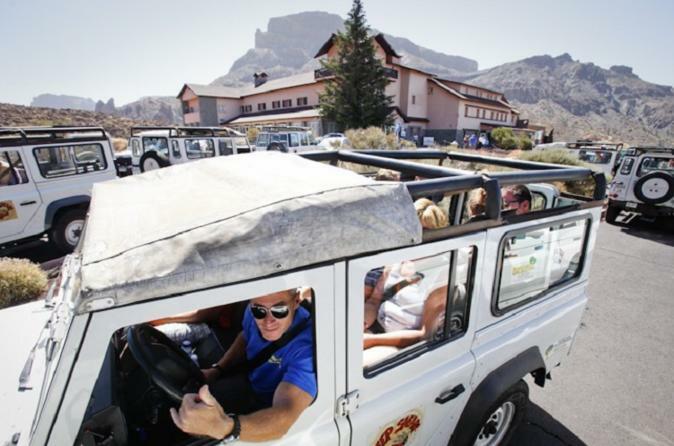 Teide National Park by jeep instead of bus on this half-day shared tour. Board an open-topped 4x4 with a professional driver, and roam the lunar-like lava fields, calderas, and peaks as you hear about the ancient eruptions that formed them. Admire 12,200-foot (3,718-meter) Mt. Teide, one of the world’s highest volcanoes; and explore the less-visited side of the mountain to discover quiet Canarian villages. Pickup from hotels or nearby locations is included.